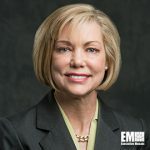 Katrina McFarland, former assistant secretary for acquisition, logistics and technology at the U.S. Army, has joined Engility as a member of the board of directors. Engility said Friday she brings to the company her civil service experience at the Defense Department. “[McFarland] is one of the most accomplished defense leaders in the nation and brings more than 30 years of national security affairs, acquisition and military expertise to our board,” said Engility CEO Lynn Dugle, an inductee into Executive Mosaic‘s Wash100 for 2017. In her previous roles, McFarland served as the science adviser to the Army secretary as well as the military branch’s senior research and development official and senior acquisition executive. She also served as the assistant secretary of defense for acquisition where she was advised the defense secretary and the under secretary of defense for acquisition, technology and logistics on contracting matters. 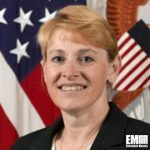 Her government career also includes time as president of the Defense Acquisition University and director of acquisition at the Missile Defense Agency. McFarland started her civil service career in 1986 as a general engineer at the U.S. Marine Corps‘ headquarters.